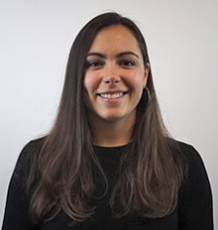 Emily joined the University of Exeter in September 2018 as an EPSRC funded PhD student examining digitalisation and democratisation of energy in the context of system decarbonisation. Prior to joining the University of Exeter Emily worked in international higher education and research policy at Universities UK International. She also has experience in campaigns, membership and student advice roles. In response to decarbonisation targets and technological change, energy systems are shifting from largely top-down linear structures to ones that are more distributed, multi-directional, and data-driven. Emerging technologies are being deployed across these new systems for diverse purposes – for example storage management, peer to peer trading, or distribution automation. This project will examine the implications of increased use of data and emerging technologies in energy, and their potential to influence the democratisation of energy.